Our little princess has wore Flowerz in Her Hair since she was little. Flowerz in Her Hair specialize in hair bows, flower clips, hats, holders and MUCH more for girls of all ages. So when it came time to prepare to go back to school we of course had to include accessories for hair as well. No better place to check out what was new than Flowerz In Her Hair. So what will Princes be wearing when she goes back to school? Well since she has a passion for her short hair and loves to look cute we agreed upon headbands this year. The super cute headbands at Flowerz In Her Hair makes some of the cutest headbands. When doing your back to school shopping don't forget accessories. Flowerz in Her Hair is seriously your one stop shopping for all your hair accessory needs. Whether you are looking for bows, flowers, headbands, or something special for the holidays.. you can find it at Flowerz in Her Hair. Flowerz in Her Hair offers great quality and price as well. Each piece is handcrafted with high quality materials and made to last. And with prices that you just can't beat! This time I want to share another song from the past. You know those songs that you learned somehow and they seem to float around in your head. This song was one of my mothers favorites and while I do not know all the words I know enough and it always makes me think of my mom. Preheat oven to 350 degrees F. Prepare macaroni according to package directions; drain and set aside. In a large skillet cook onion and garlic in hot butter over medium heat until nearly tender. Stir in frankfurters and cook until lightly browned. Stir in spaghetti sauce, tomato, and mushrooms. Bring to boiling. Remove from heat. Stir in sour cream and half of the cheeses. Stir mixture into the drained pasta. Spoon into a 2-quart casserole. Preheat oven to 350. Spray 8 in round pans with cooking spray. In a medium bowl cream together butter and sugar. In a seperate bowl whisk together dry ingredients- flour, baking powder and pudding mix. Add flour mixture to the cream mixture, stirring until combined. Add milk and stir until creamy. Seperate the cake batter into smaller bowls (one for each color you plan on using). Add gel food coloring to each bowl until you reach desired color. Remember that the colors will fade slightly when baking, so take that into account when adding colors. Bake each layer seperately for 10-12 minutes. Can you find the mad one???? 1. In a medium saucepan, stir together sugar, cornstarch, and gelatin; add water. Cook stirring over medium heat until thick and everything is absorbed. Remove from heat and allow to cool completely. I place it in the fridge so it doesn't take as long. Add a few ice cubes to further speed up the process. 2. Add all of the strawberries except for 1/2 of a cup worth and reserve for topping. 3. Slice cake, horizontally into 3 equal layers. 4. Mix together cream cheese, condensed milk, and whipped topping in a bowl; set aside. 5. In a large trifle bowl place a layer of cake, topped with a layer of strawberry, followed by a layer of the custard mixture. Repeat layering in this order for remaining cake, strawberries and custard. 6. Top cake with remaining strawberries and shredded chocolate. It is best to shred the chocolate while it is slightly chilled. I love coconut and enjoy it right out of the shell or bag. 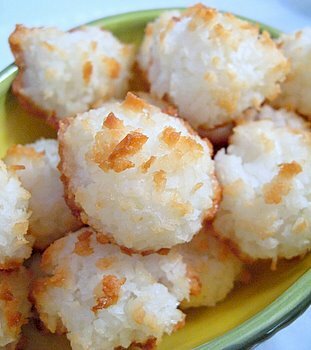 My mother in law loved macaroons and I made this type of cookie quite often for her when she was here with us. This post is dedicated to my mom in law who now rest in a better place. Preheat oven to 325. Combine coconut, sugar, and flour. Stir in the egg white and almond extract. Use a cookie scoop to portion the cookies on a parchment paper lined cookie sheet. Bake for 18-20 minutes or until edges are golden brown. Let cool and enjoy! 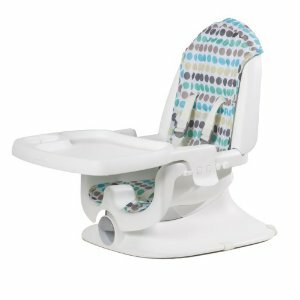 I feel these are top shower gifts because not only are they items that help the baby and ones that are needed but also they are gifts that mommy and daddy will appreciate. Yes I still believe that those gift givers that offer diapers and clothes are awesome as well. We know those items are needed but if you want to give a bigger gift then please by all means take an idea off my top 10 list. In a large bowl, using your hands, combine the beef, 1/4 cup salsa and 1/4 tsp. each salt and pepper. 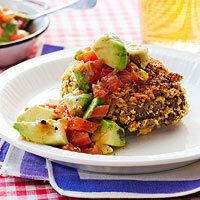 Form the mixture into four 1/2-inch-thick patties. Coat in the tortilla chips, patting to adhere. In a large, dry nonstick skillet, cook the patties over medium-low heat, turning once, until the chips are toasted and the meat is cooked to medium doneness, about 8 minutes. No more fetch for Arlo – he needs glasses! Oh no can you imagine a dog wearing glasses. Well I can we do whatever we can for our pets after all they are part of our family. 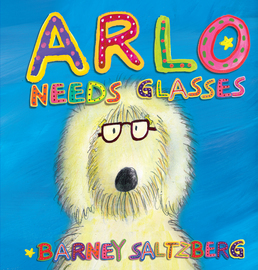 Now a book authored by Barney Saltzbergs helps kids understand the amazing power of glasses using a familiar friend. Did you realize that one out of every five school age children need to wear eyeglasses. I was one of those children and can remember the humility of wearing glasses because I thought I was alone in a world of people who could see and did not need glasses. Saltzbergs allows children to see through actions inside the pages of a book that they are not alone but are very lucky indeed. Saltzberg has authored over 40 popular children's books and now through his creative forces is sharing the joys of wearing glasses. The adventures of Arlo, a dog just like any other dog who loves to play catch suddenly cant see the ball anymore and needs to wear glasses. Arlo needs Glasses (workman, July 1, 2012) follows the line of books such as Beautiful Oops! Peekaboo Kiss, Good Egg. Since our little Princess's mom and nana both wear glasses we are not sure if she will have to or not. I love this book that shares the adventures of a dog needing glasses because many kids love dogs and can relate to the book. I also love the colorful pictures and the fact that there are many hard paper pairs of eyeglasses that are included in the book. The adventures through the pages of the book will take the reader through the process of reading an eye chart, looking through a fold out phoropter (thats a big word even for me) If you do not know what this is it is the machine that helps doctors exam your eyes and look for the perfect pair of eye glasses. Love the ending as well as Arlo becomes an all star catcher in the neighborhood and learns to enjoy reading as well. Parboil cabbage, drain and let cool. Open leaves and scoop out center of cabbage, save the center and chopped it fine, add bread crumbs, moistened with butter, add meat, seasoning and the cabbage that has been chopped fine. Mix these all together. Stuff into the cavity of the cabbage. fold the leaves back over, and tie with a string to hold. Bake in moderate oven for about 3 hours. Kitty Wells an American country music singer was a history maker She was the first female country star and was known to many as the Queen of Country Music. Thank you Kitty for all you did for your part in the history of country music. Peel potatoes, you can leave a little of the peel on if you are using red potatoes. Cut potatoes in bite size pieces. Place in boiling water and cook until tender. Do not overcook or you will have soggy mashed potatoes. Just cook until a fork can be pierced through easily. Drain potatoes. 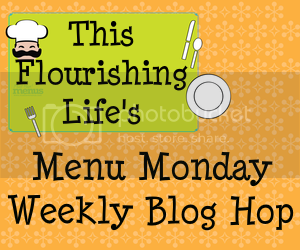 Place potatoes in a bowl and mash with a potato masher. Add butter, salt and milk, cream or sour cream (please don't use leftover potato water yuck!). better with a little more butter. Normally I use milk and save the sour cream for special occasions. I rarely use cream because I don't notice much added flavor but the added calories are significant. Note: If you mix your potatoes too much, they will start to get stiff and gluey,be careful to mash them and mix in the other ingredients just until done, no need to keep stirring! Brown hamburger. Add a little butter if needed (if there isn't at least 2 tablespoons fat left from hamburger). Add flour and stir until hamburger is coated. Add beef broth and stir until flour is all mixed in and broth starts to thicken. Salt and pepper to taste. Serve over potatoes and add grated cheddar cheese on top. How many of you remember the fortune telling magic 8 ball. I can tell you I spent many hours predicting my future or at least seeing what the ball had to say. The truth is God had a plan for me. saute veggies in olive oil for about 15 min. then add chiles and spices and let cook for another 5 min. add beans and tomatoes and a little water and bring to a boil then let simmer for about 20 min or so. I've been into making things in advance and freezing them and these are really good to heat up for lunch at work. 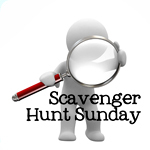 1.Combine rice and water in a saucepan, and bring to a boil. Reduce heat to low, cover, and simmer for 35 to 40 minutes, or until tender. Remove from heat, and cool. 3.Divide the mixture evenly among the tortillas, and roll up. Wrap individually in plastic wrap, place into a large freezer bag, and freeze. Reheat as needed in the microwave for lunch. These are good with sour cream or dipped in lite ranch. Thought I would share this with all of you. I have a dear friend that grew up in small town Illinois but now lives away from here and travels the world. She shared this picture with me and since it is the closest I will ever come to an event like this I thought I would share it with you all.